ePublishing Knowledge BaseePublishing Knowledge BaseePublishing Knowledge Base Creating Pages & Site NavigationHow do I add a navigation link for my landing page? This article will show you how to add a link to your landing page in any of your navigation, including your main nav (top of the website) or your footer. 1. 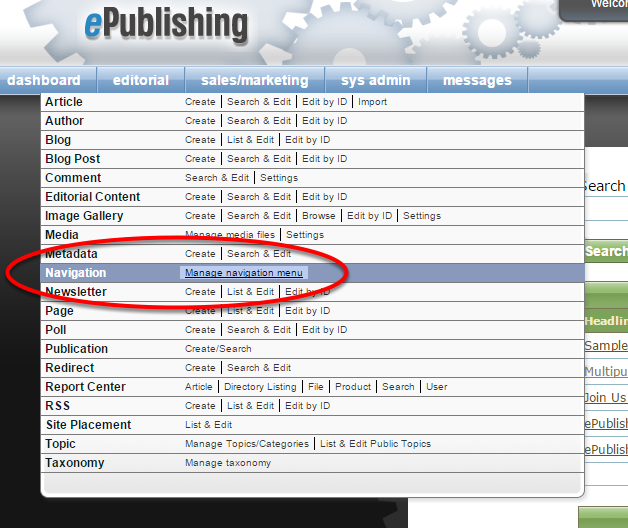 To access the Navigation menu on your Dashboard, hover over Editorial and select Manage Navigation Menu. 2. Select the Navigation Menu you'd like to edit. Zoom: Select the Navigation Menu you'd like to edit. The main Navigation Menu is typically called "main," but please check with your Solutions Manager if you have any questions. Footer is usually designated as "Footer." 4. Click the plus sign next to the menu name. 5. 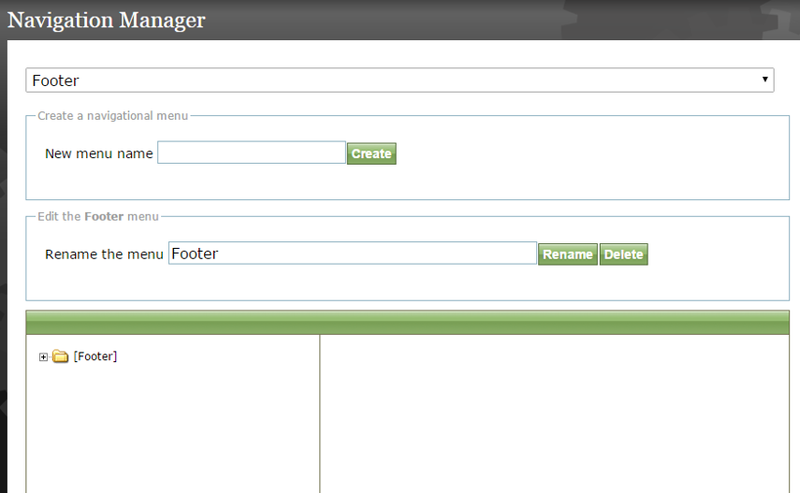 To add an additional link in your menu - in this case the footer - right click on [Footer] and select Create Child Link. 5.1. If you'd like to add a link under a main category in the Main Navigation, for example, click on the folder you'd like your link to appear in. 5.2. 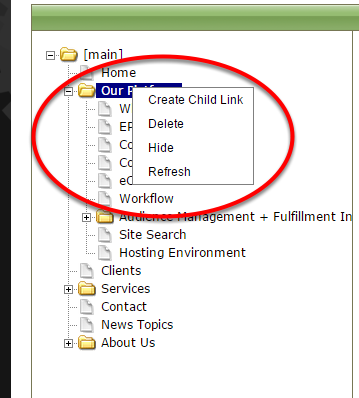 You may also click New Child Link after clicking on the folder of the navigation item you want your link to appear within. 6. Upon clicking Create Child Link, the following screen will appear. 7. Add a name for your link under Title. 8. 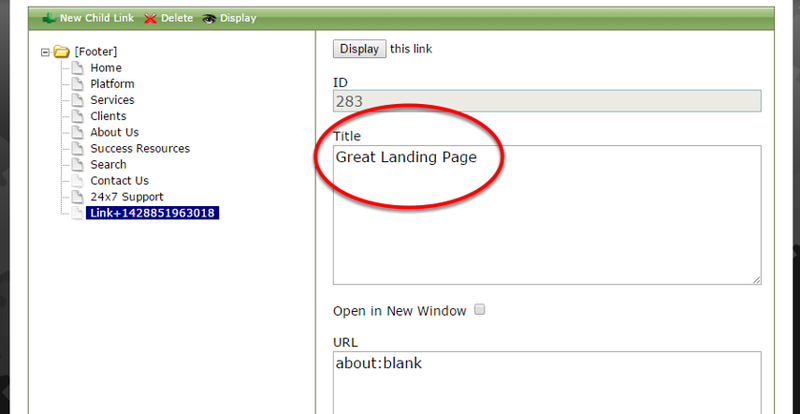 Paste the URL of your landing page under URL. 9. 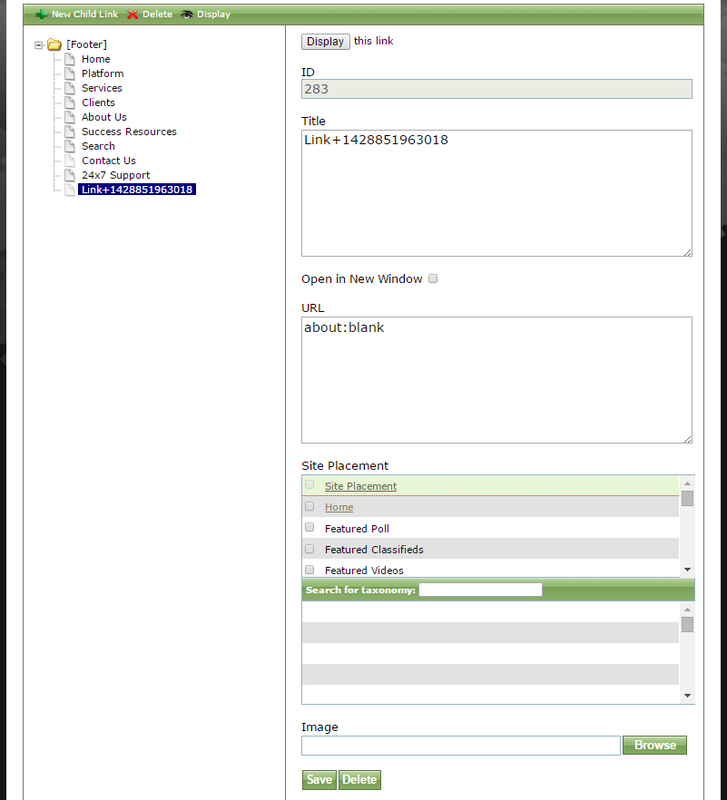 Generally, Site Placement and Image are not used with navigation, but each is highly site-specific. 10. When you are finished, click Save. 11. To display the link in your navigation, you must click Display this link when you are finished editing. 11.1. To remove an item from navigation, even temporarily, click Hide this link. 12. After your link has been updated in your navigation on the live website, test it and edit as needed. Depnding on any special cacheing rules for your site, you may have to wait upto 15 minutes to have the navigation change be visible on the site. Prev: How do I create a unique URL for my landing page? Next: How do I change or update the navigation on my website?